Who is your TECHWARE Assistant?!! 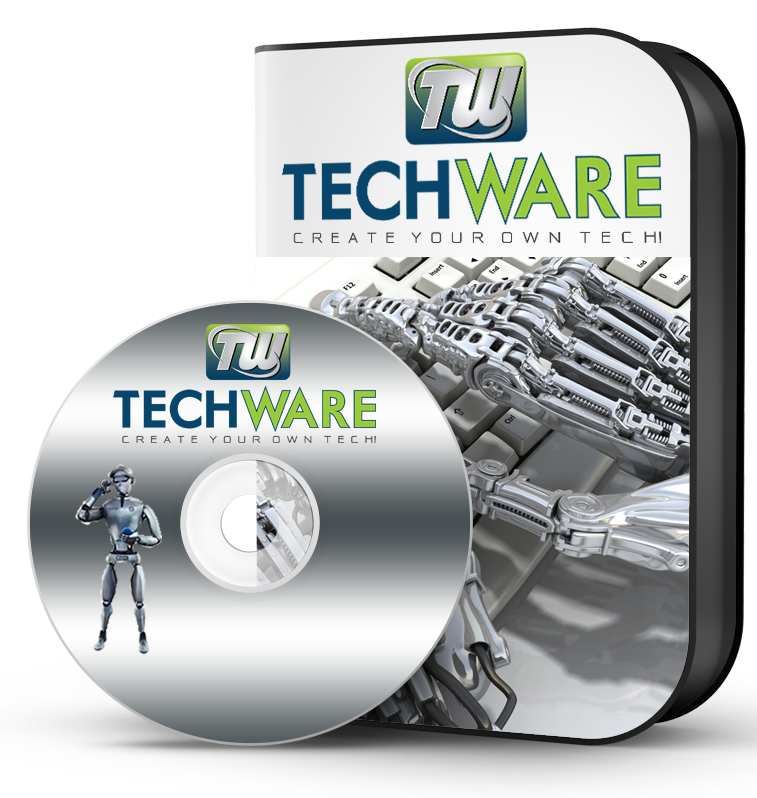 TECHWARE is the worlds FIRST and ONLY Virtual Technician Software! You create your own Tech! Invest in something small that can make a very large difference. Your IT department will love you! Keep your business running smoothly!! 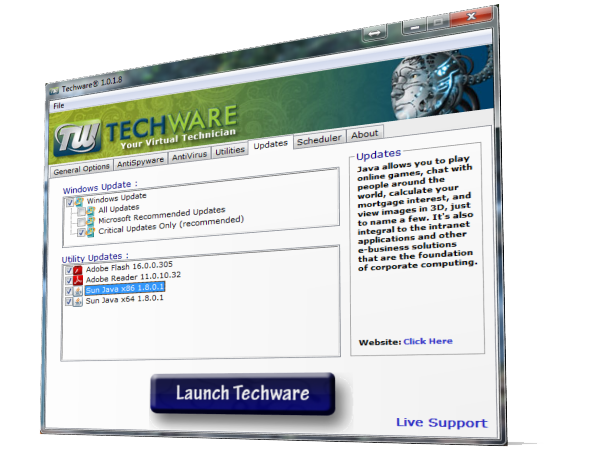 Setup your TECHWARE software settings, Pick a schedule and relax knowing you have just created a technician that will maintain your PC for you!! Like a well oiled machine!! Take care of your computer like you take care of your car. Preventative maintenance is proven to work! Techware is software that offers complete preventative maintenance solutions for all computer and information technology needs. Whether for home, business or professional use, Techware will ensure that your computers are running smoothly and at their peak performance with regular maintenance on a daily, weekly or monthly basis. Avoid paying hundreds of dollars to fix a computer problem that could have been prevented in the first place. Techware can greatly simplify the computer maintenance process by automating antivirus, antispyware and antimalware utilities as well as performing many other programs such as defragmentation, updates, backups and much more. Think of it as your very own personal Virtual PC Technician. Like any machine, your personal computer at home will benefit from regular maintenance. When computers are not properly maintained, they tend to get slower. Or worse, you might run into malware that will collect personal data such as credit card numbers. Time is money and when computers go down at work, business stops. And since even slow computers hinder productivity, it's doubly important to ensure that all computers are getting the maintenance attention they need to be performing at their best. As most IT professionals know, preventative maintenance takes time - especially if you're taking care of multiple systems and clients. By using Techware, an IT professional could easily check the status of every computer in his account by simply logging in and looking through the maintenance logs. You can choose whether or not to Restart the computer before maintenance (Recommended). You can also choose to start maintenance in safemode. Then choose what you wish Techware to do when it is finished. Nothing, See Logs, Restart, Shut Down, or Log Off. 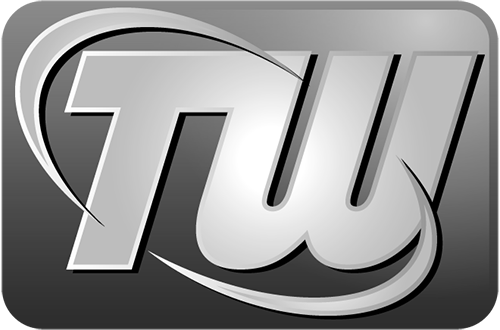 The creator of Techware and Techware Pro has had many utilities reviewed with high ratings in magazines around the world for software he has created to help computer technicians repair computers. He is the mind behind programs like Windows XP PowerPacker, RVM Integrator, Office Integrator, DriverGrabber and many other utilities he created for his company Siginet Software. We at Techware Solutions, Inc are proud to have him on our team helping us revolutionize the IT technician industry. On the Updates tab you will have the option to set Windows Updates up during maintenance. You will be able to select what type of updates you would like installed. Critical, Recommended or All Updates. You will also be able to select other programs you wish to have updated during maintenance as well. Copyright © 2008-2019 Techware Solutions, Inc. All rights reserved.